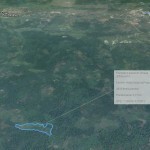 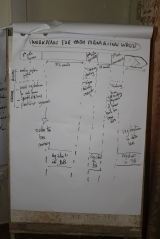 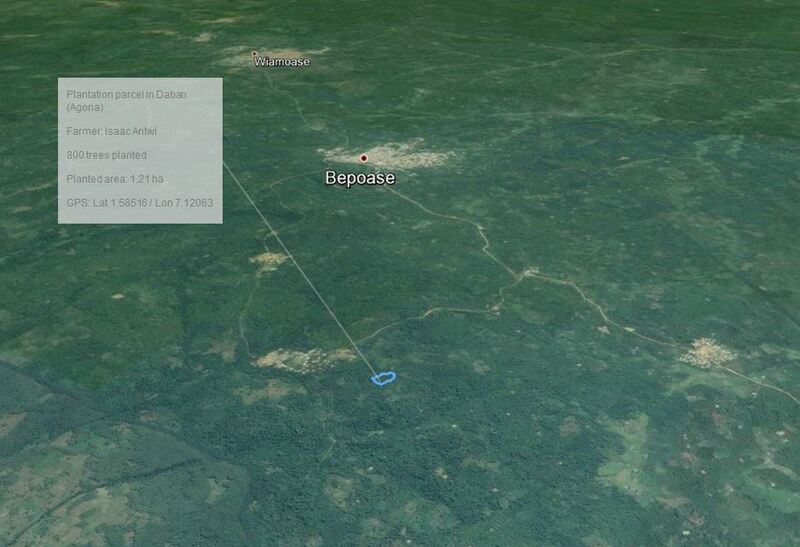 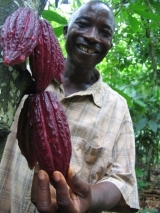 This project aims at developing high quality agroforestry systems in partnership with small-scale cocoa farmers from the Kuapa Kokoo cooperative in order to increase climate resilience and ensure the availability of water resources for agriculture and to improve the living conditions in remote villages. 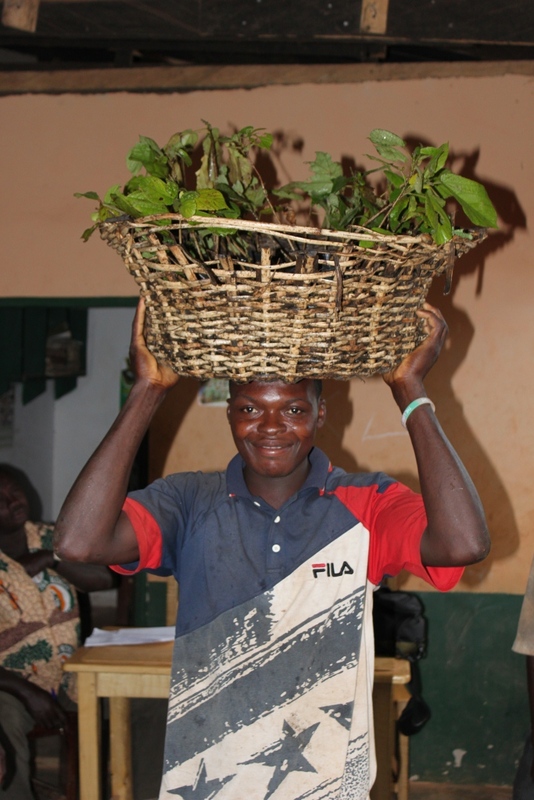 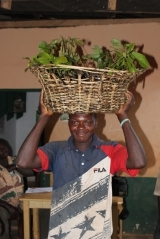 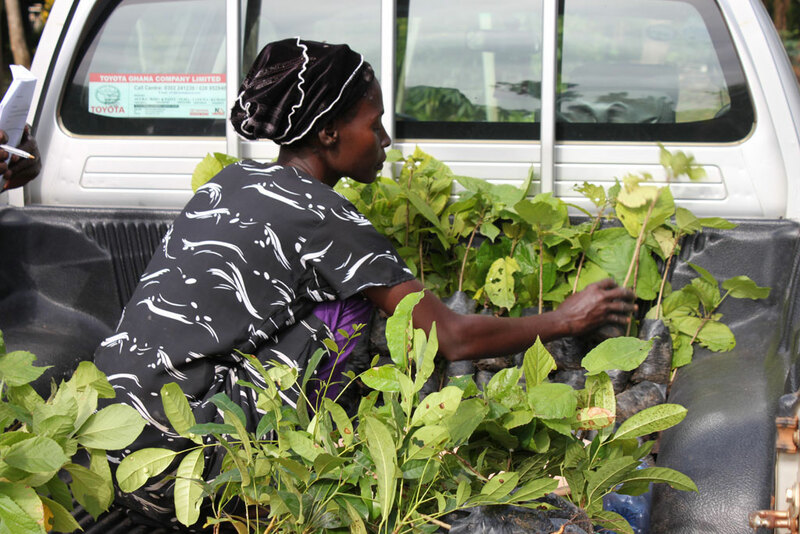 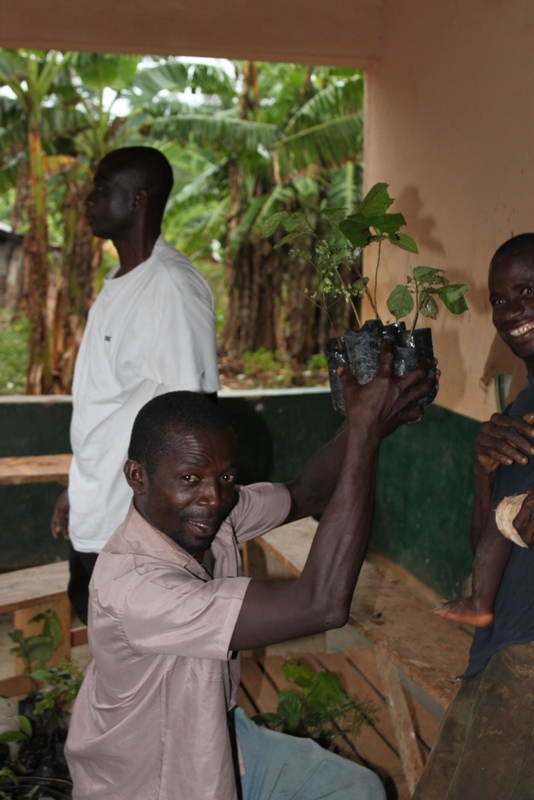 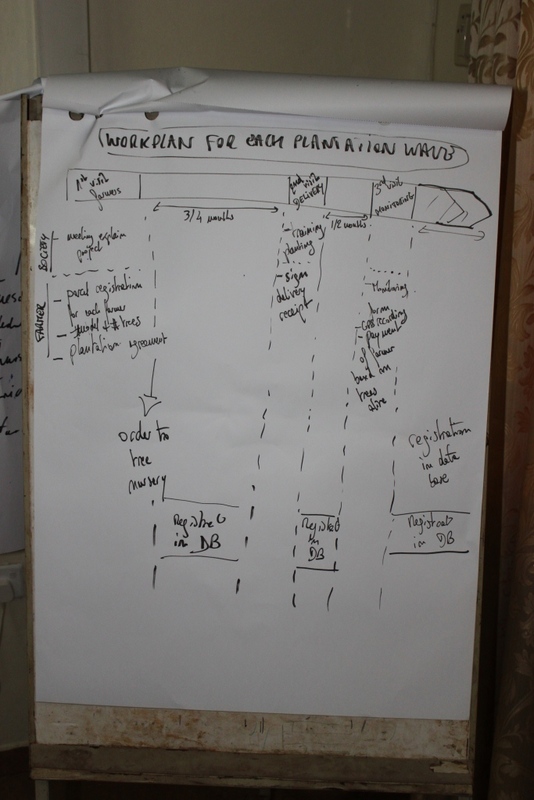 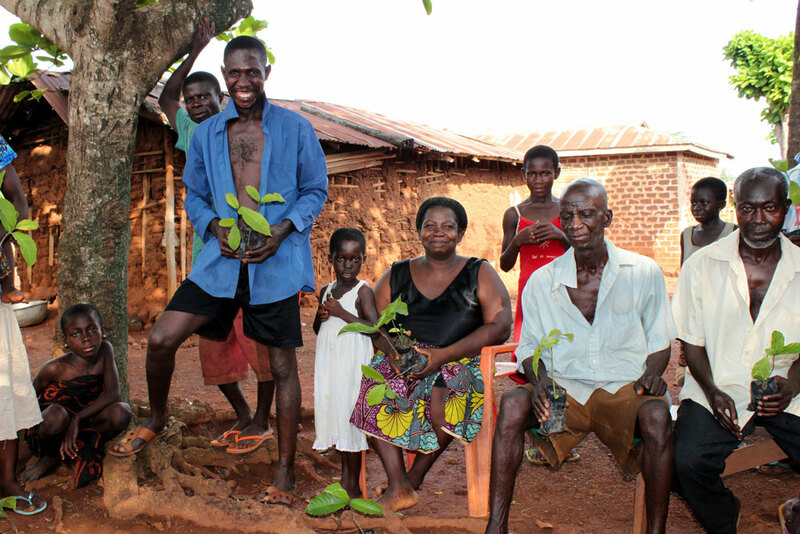 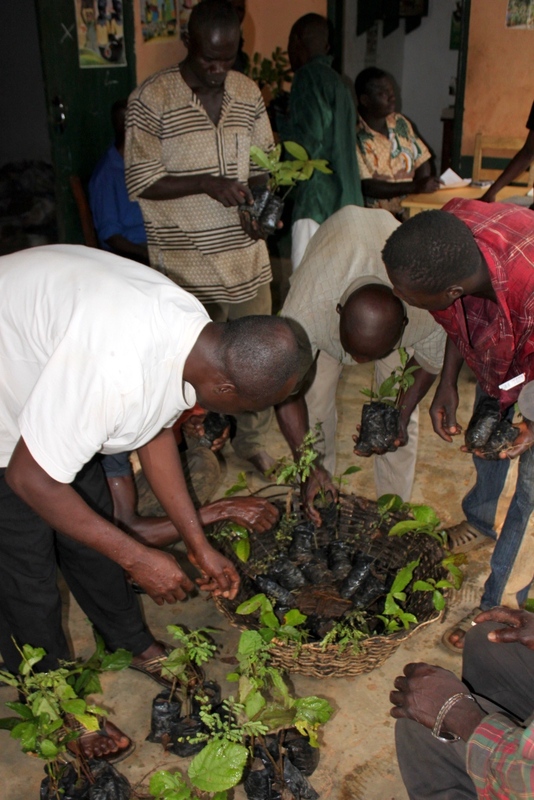 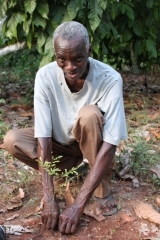 In partnership with their Swiss buyer Chocolats Halba, some groups of producers decided to develop agroforestry systems adapted to their cocoa plantations. 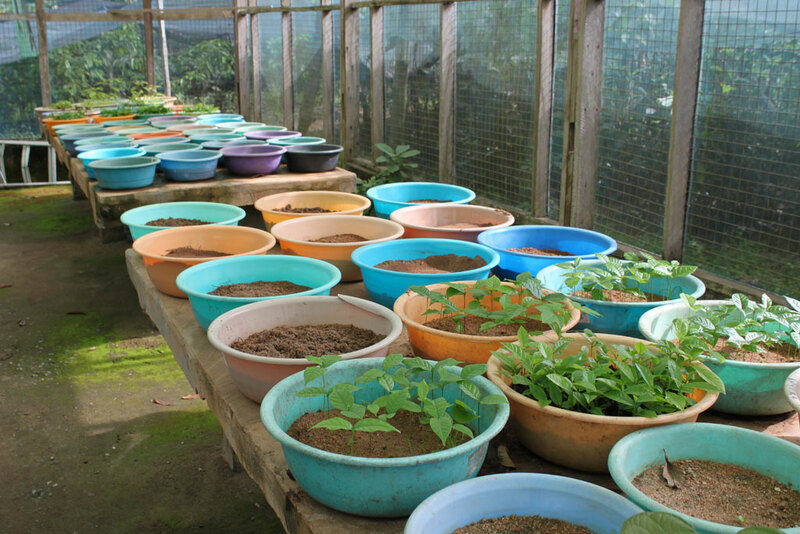 The aim is to recreate and maintain soils fertility. Indeed, while meeting producers’ needs, agroforestry systems make it possible to avoid the exhaustion of fragile soils. 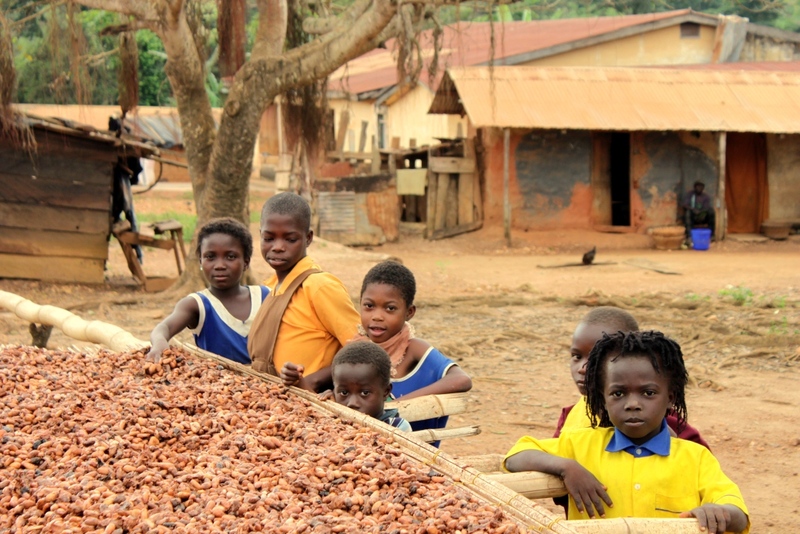 In Ghana, cocoa beans are grown mostly in monoculture. 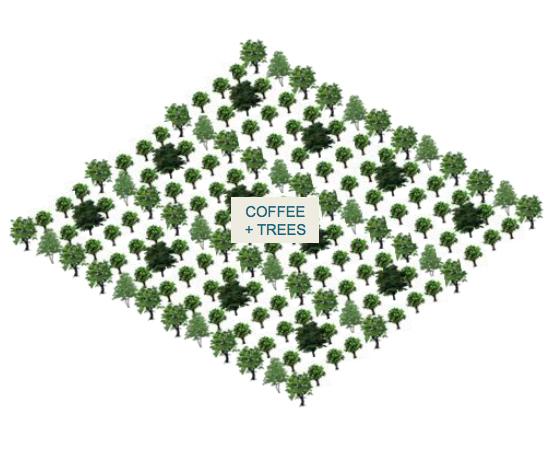 Unfortunately, decades of this monoculture have leached the soils. 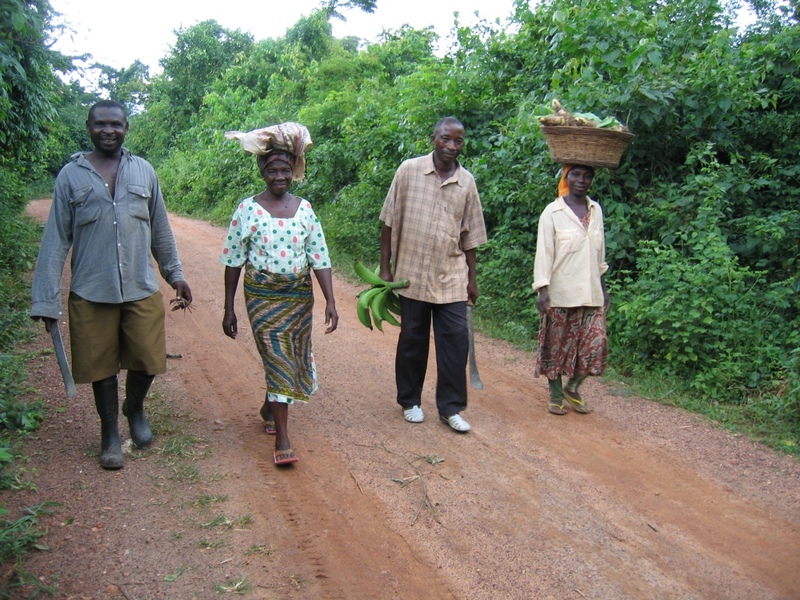 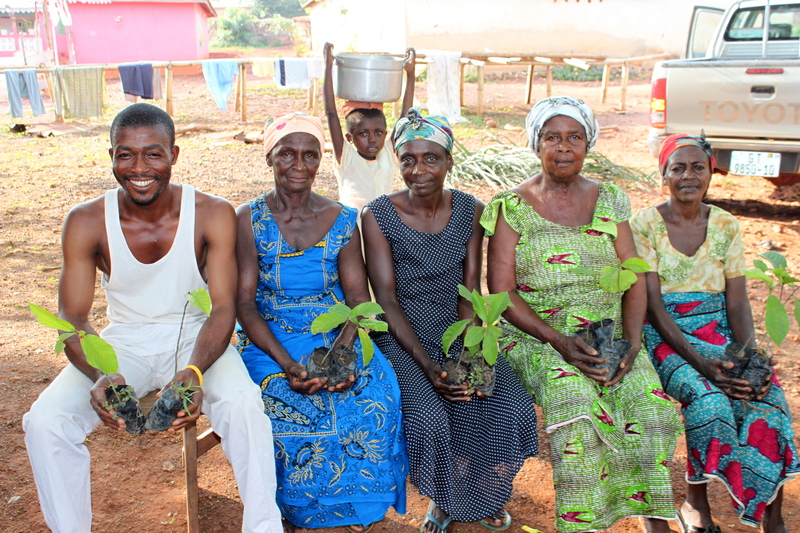 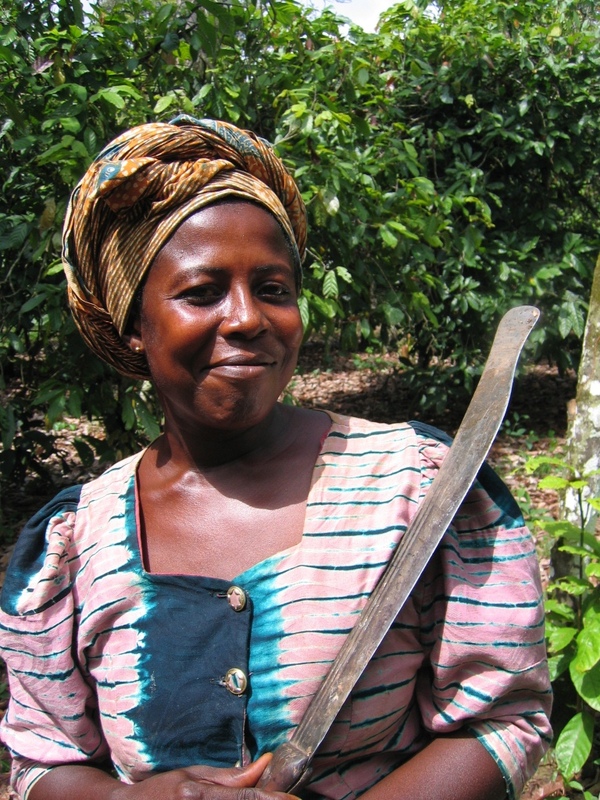 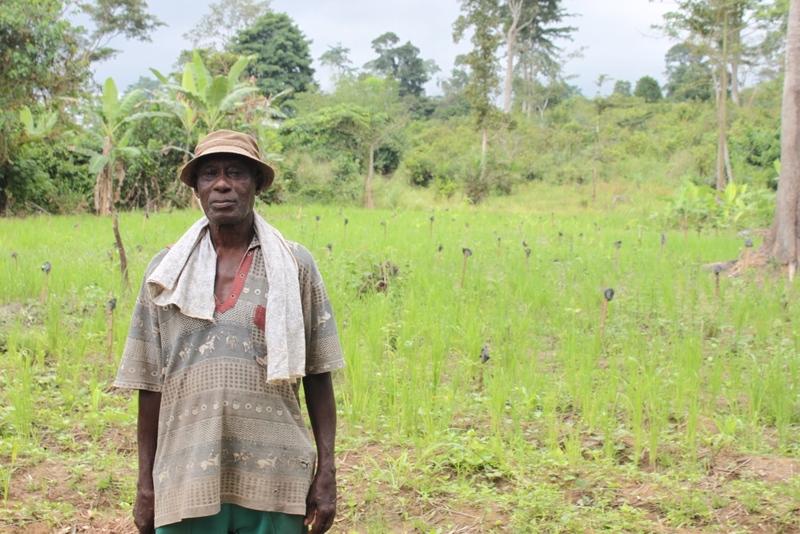 In 2011, the cooperative initiated a planting program in the Kumasi region in order to support farmers to develop sustainable agroforestry systems, as more productive and responsive to their cocoa plantations. 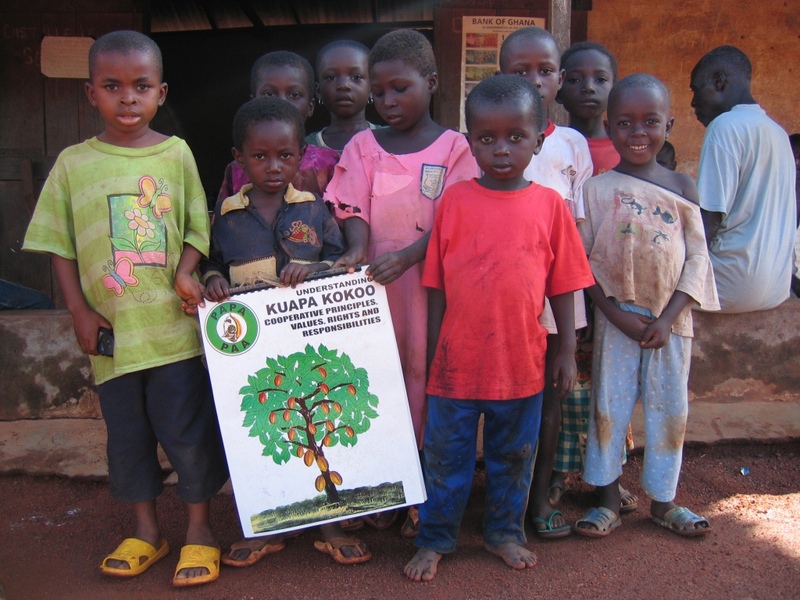 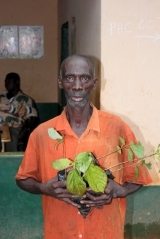 The Kuapa Kokoo cooperative was created in 1993 after the liberalization of the Ghanaian cocoa market. 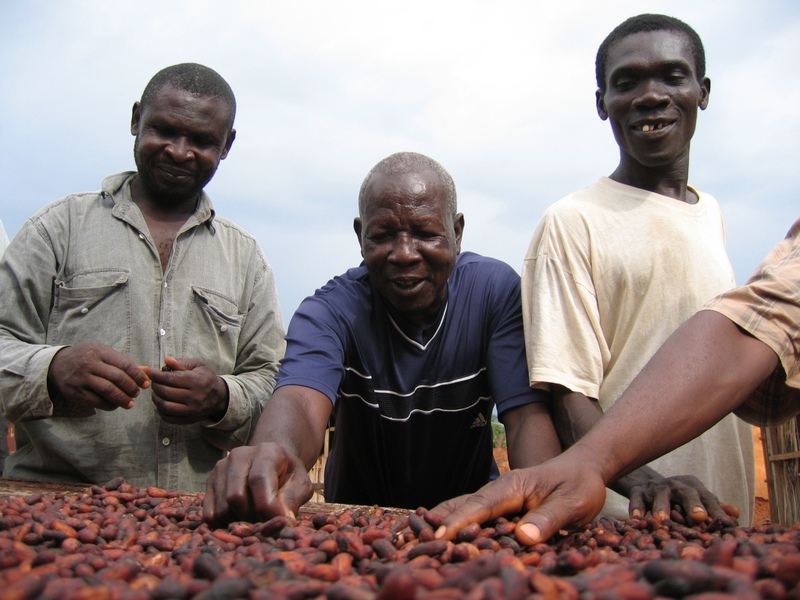 The cooperative’s slogan is “Pa Pa PAA” which means “a better quality”. 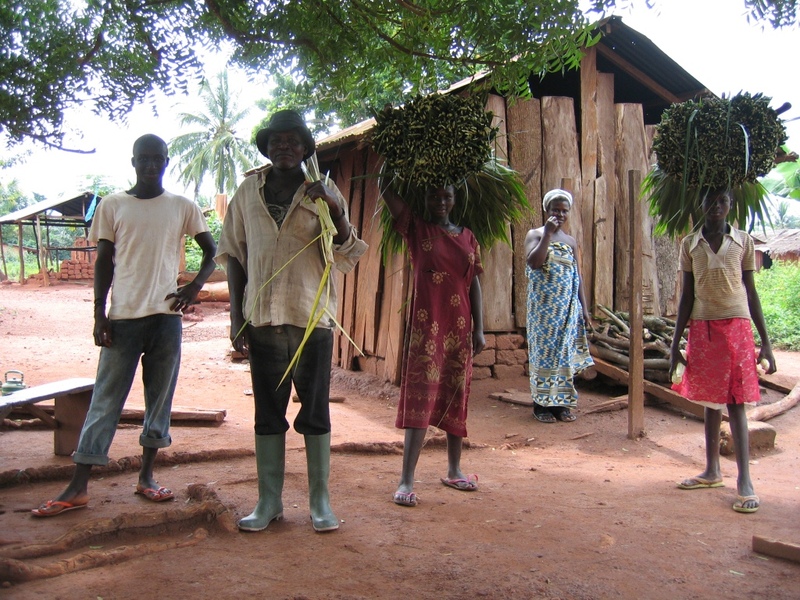 The Kuapa Kokoo cooperative was born from the producers’ desire to create their own structure that would represent them. 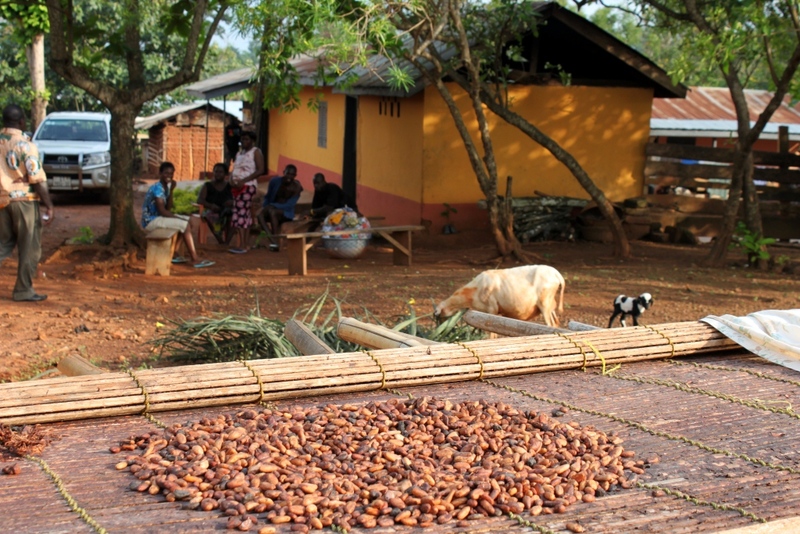 Created by and for small-scale producers, it seeks to enhance the development of the local community. 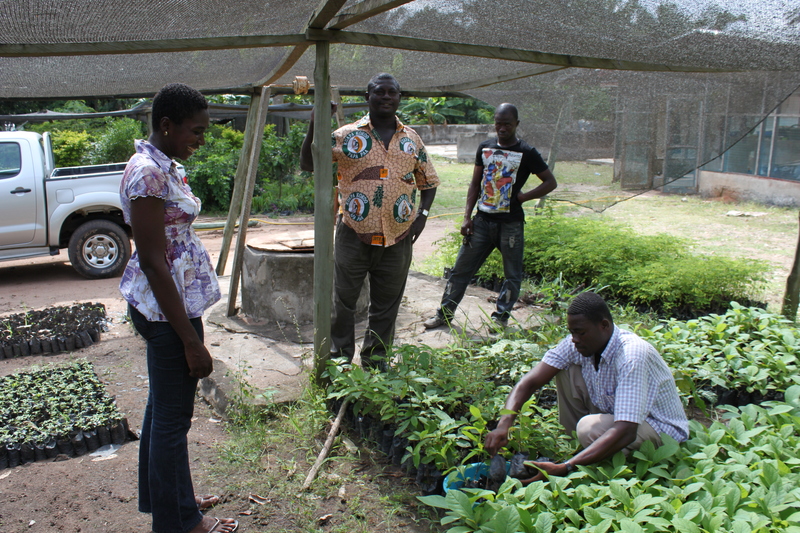 It has now nearly 45 000 members. 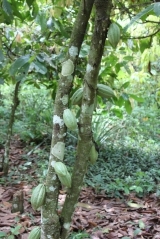 Part of the producers produce their cocoa in organic agriculture and following the principles of fair trade, but at this stage agroforestry is not very developed. 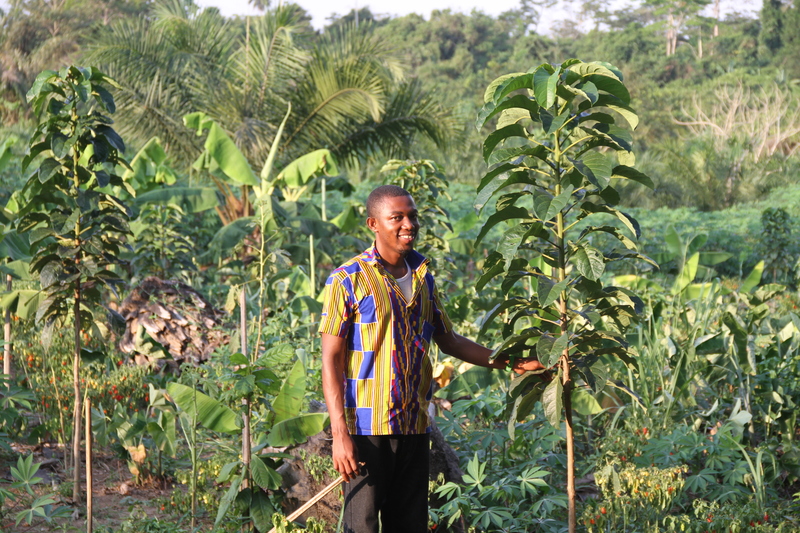 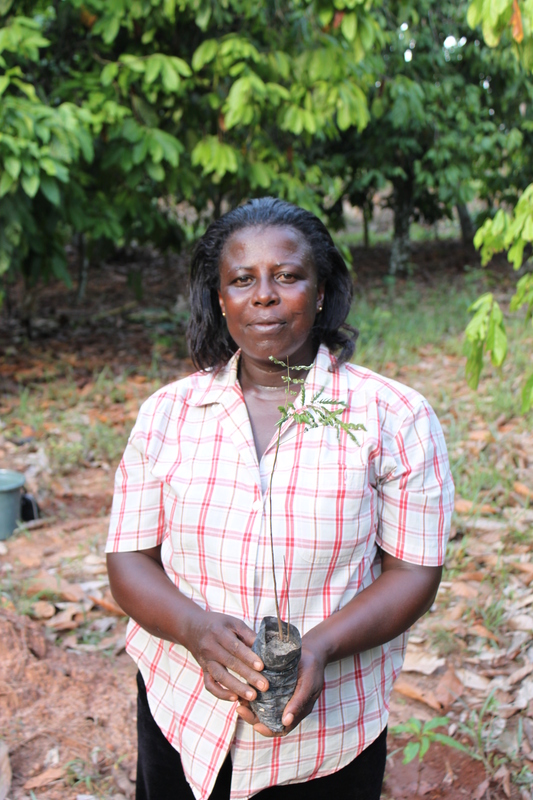 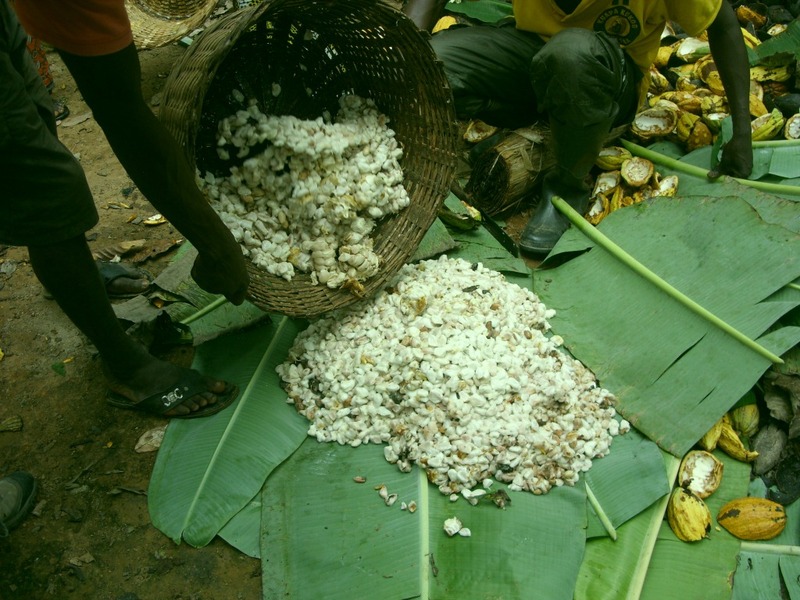 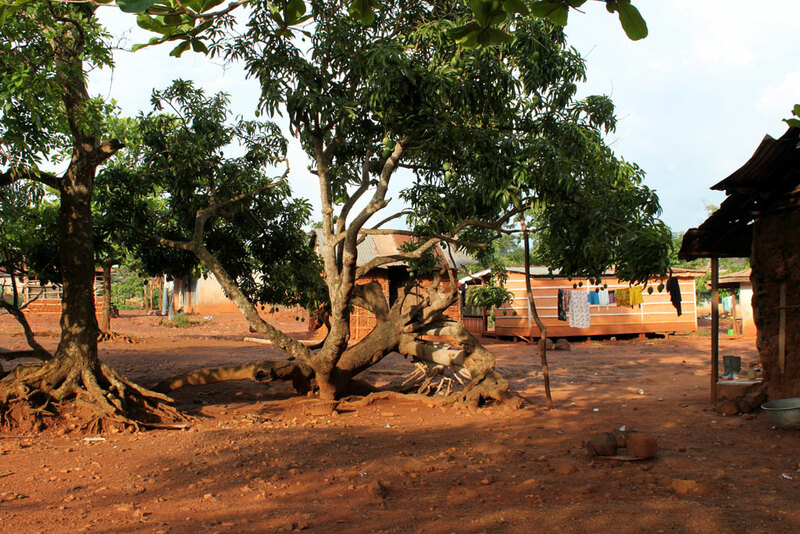 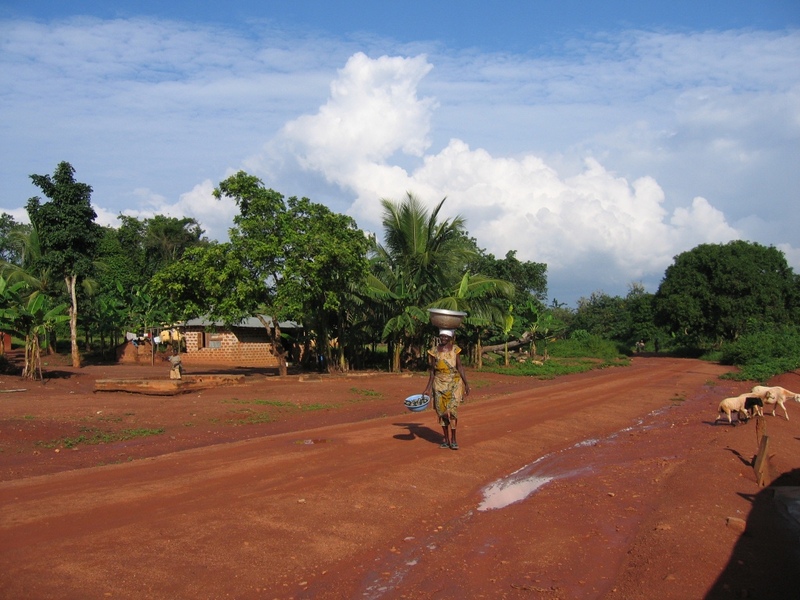 Agroforestry was a very common cultivation method traditionally used in Ghana, but the increasing pressure on the lands led many farmers to suppress the trees on their lands to plant cocoa trees, in single-crop farming. 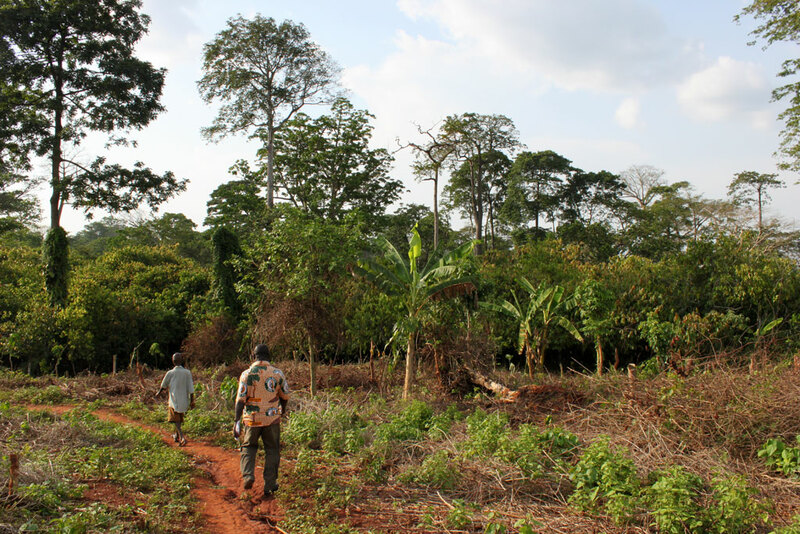 Through this practice, a large amount of vegetation is still destroyed and biodiversity is being lost, which leads to the gradual decrease of productivity if chemical fertilizers are not used. 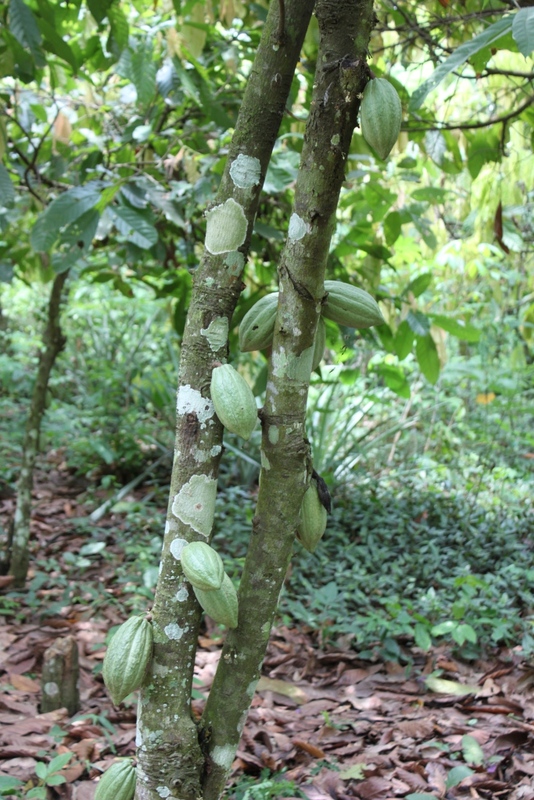 In partnership with their Swiss buyer Chocolats Halba, some groups of producers decided to develop agroforestry systems adapted to their cocoa plantations. 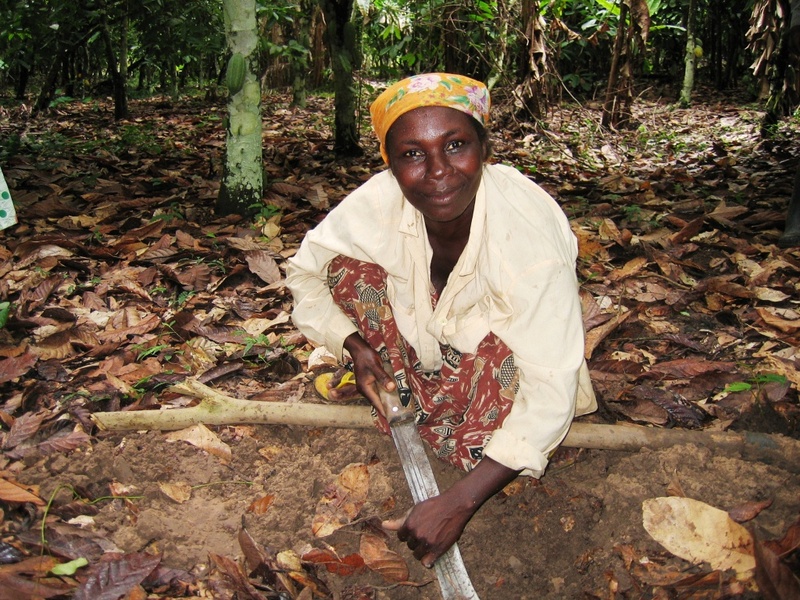 The aim is to recreate and maintain soils fertility. 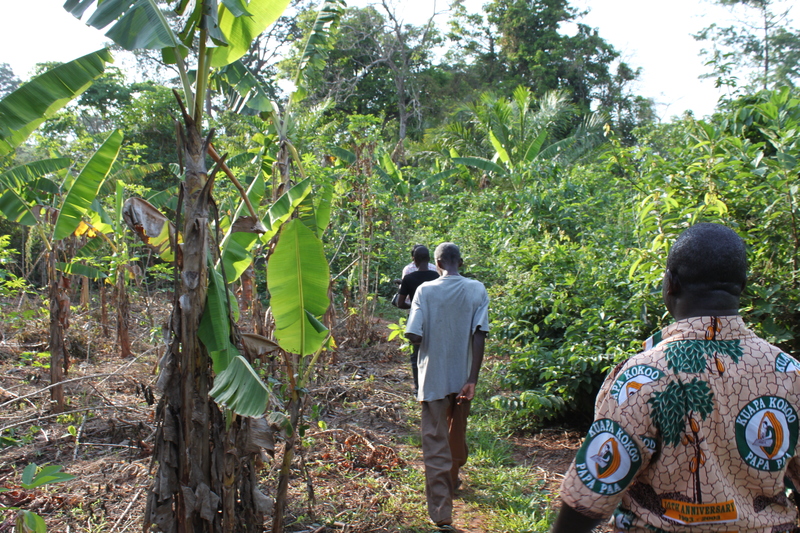 Indeed, while meeting producers’ needs, agroforestry systems make it possible to avoid the exhaustion of fragile soils. 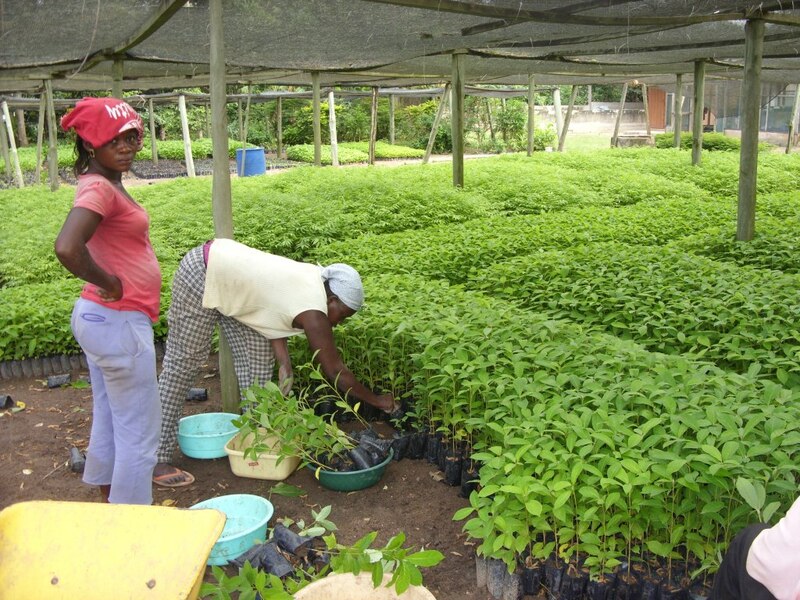 This project enables farmers to increase their incomes, through higher yields and diversification, secure their production and sourcing over the long-term, and anticipate expected climate change impacts. 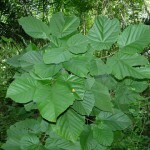 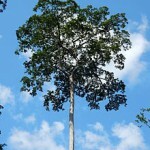 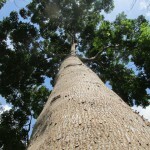 It also contributes to the water availability and quality, and to the restoration of the biodiversity. 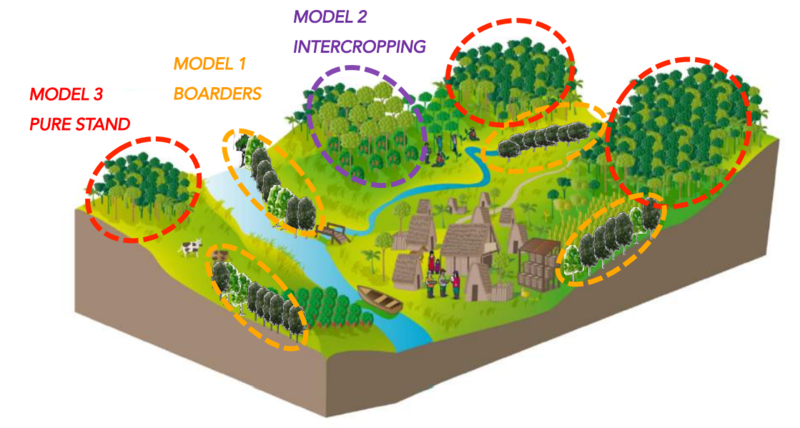 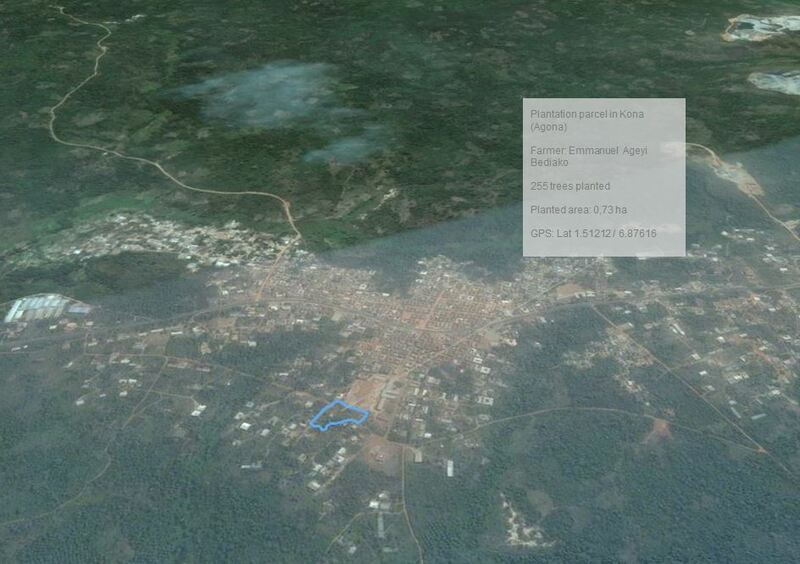 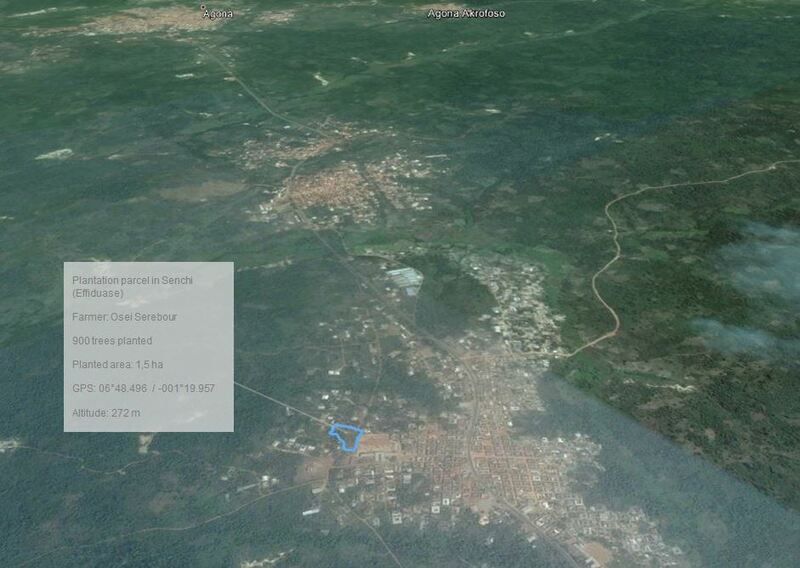 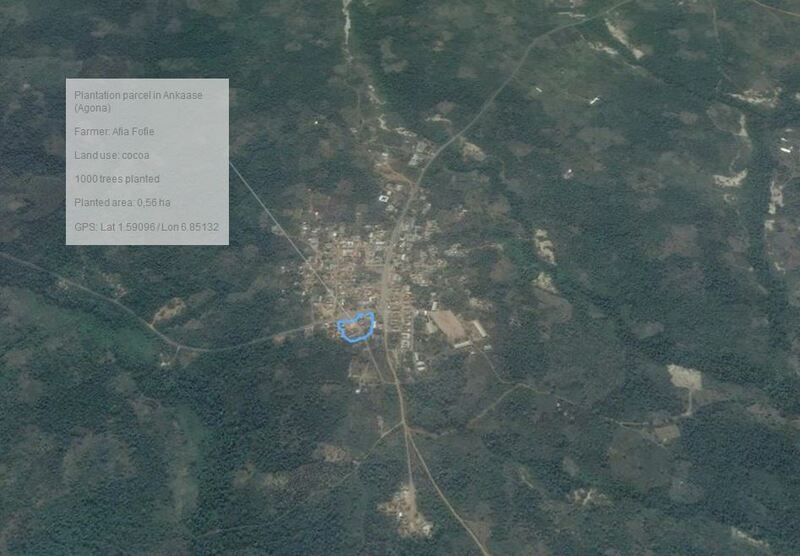 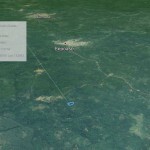 Moreover, land scarcity means that many producers, and even more in mountainous areas, own very small parcels. 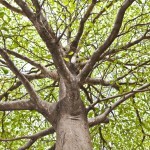 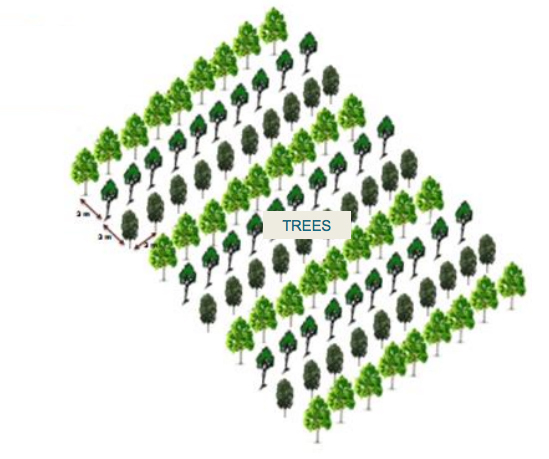 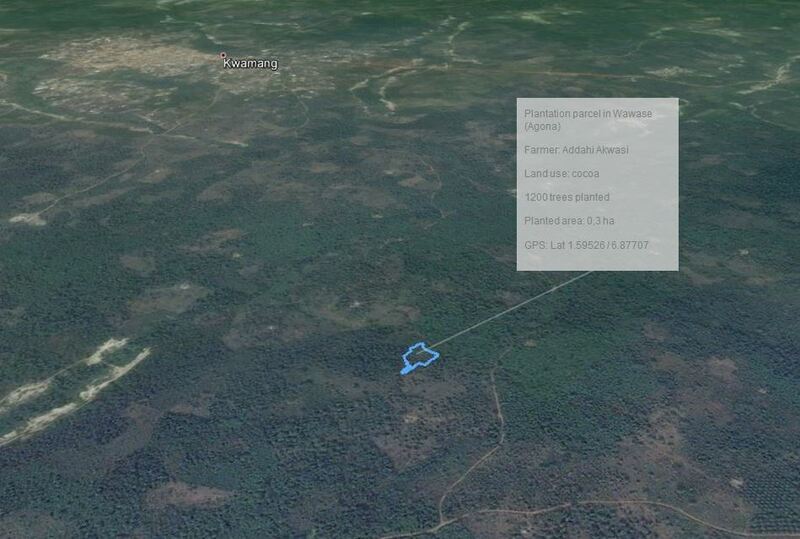 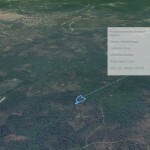 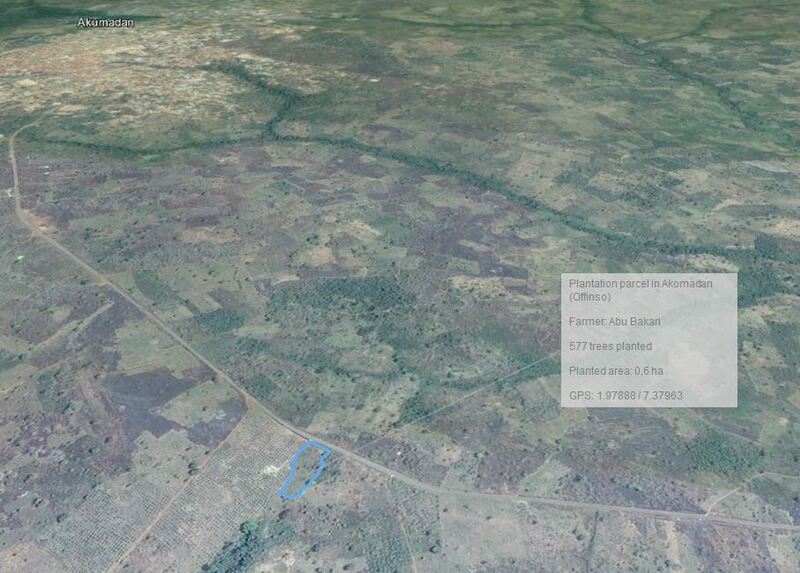 Therefore, agroforestry appears to be a good option as it provides many useful products, even on a limited area. 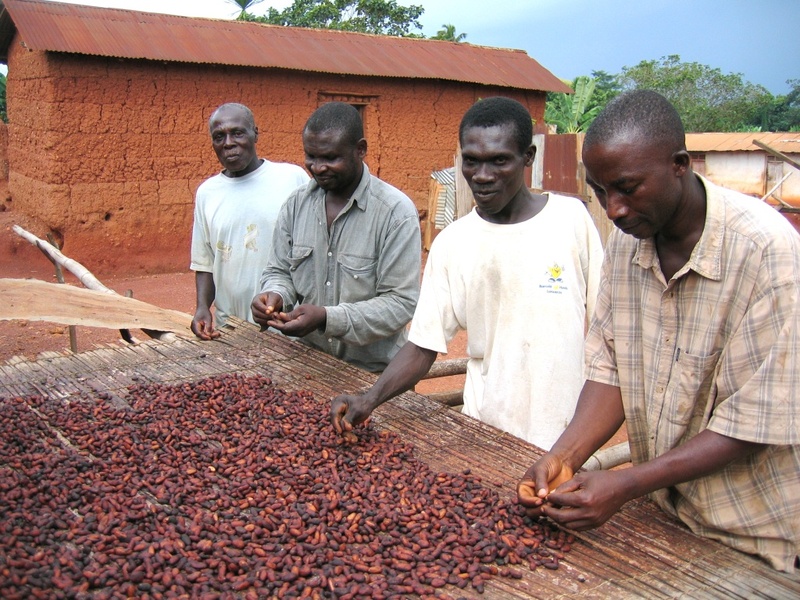 The Kuapa Kokoo cooperative was established in 1993 during the liberalization of Ghana’s domestic cocoa market. 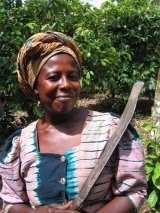 The cooperative was the first to achieve Fairtrade certification in 1995. 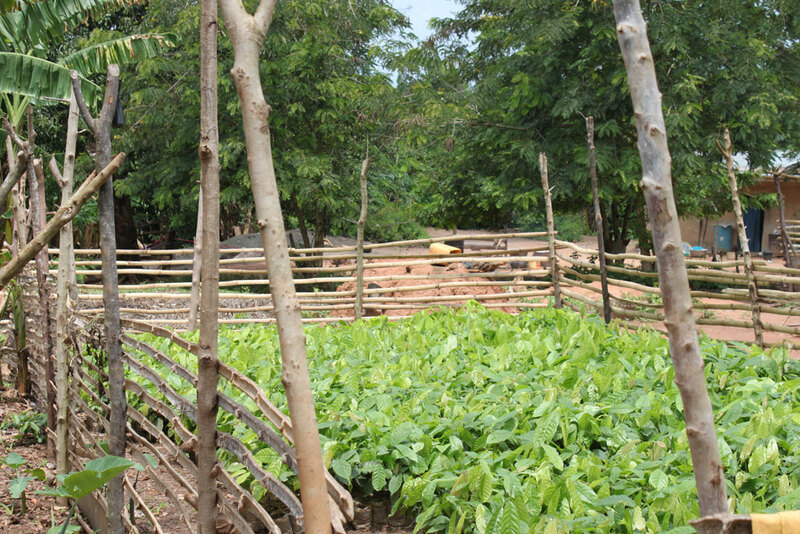 It is directly managed by the farmers, who organize the collection of beans, payments, product marketing and contribute to development of local communities. 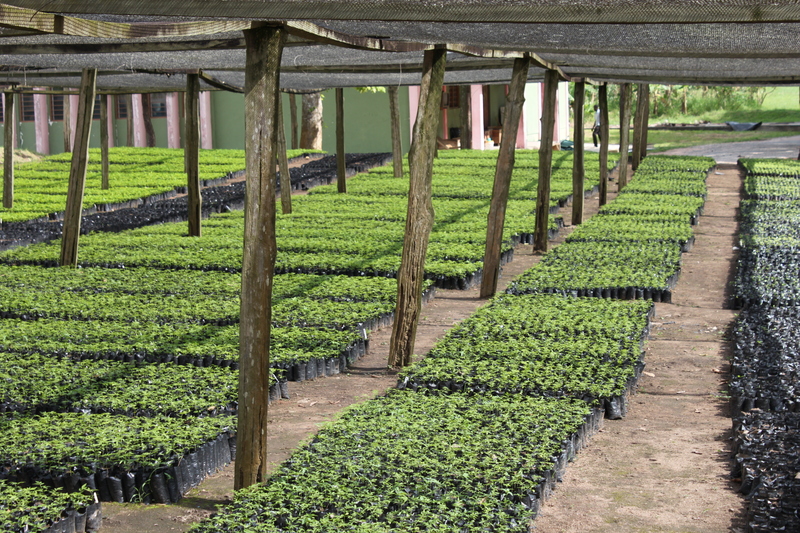 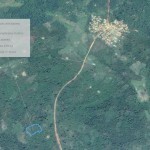 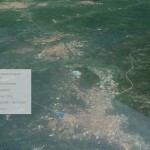 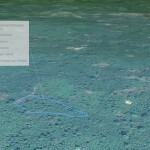 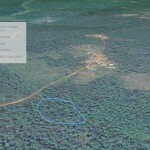 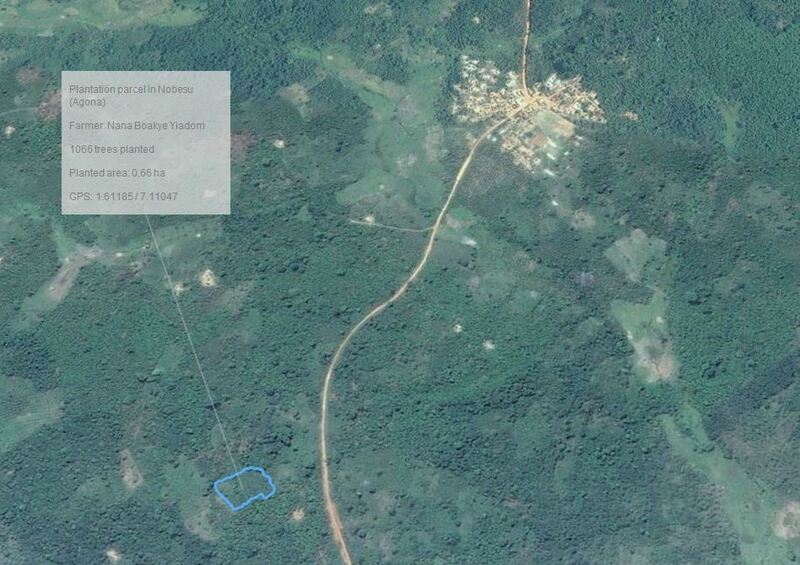 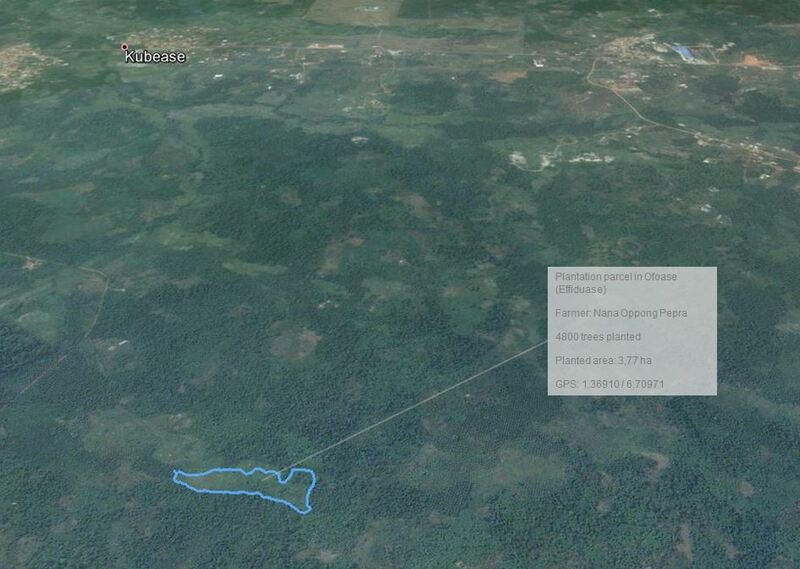 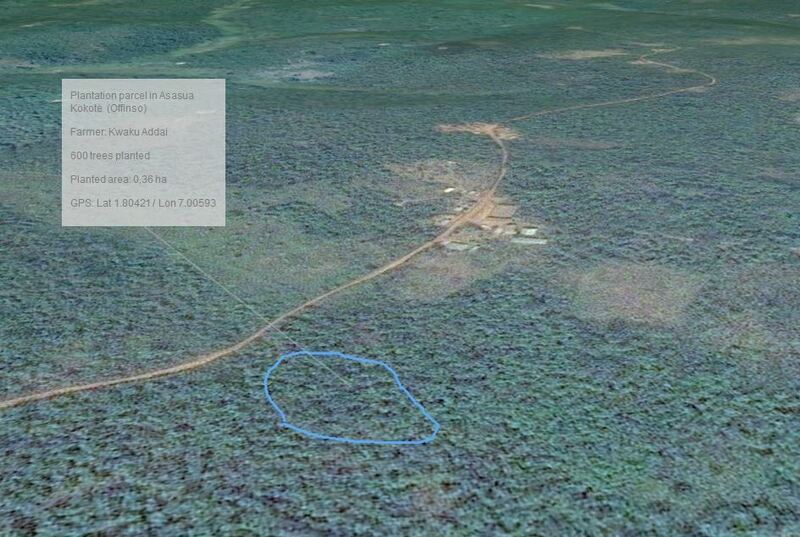 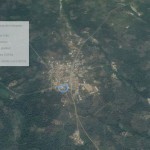 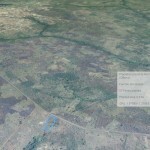 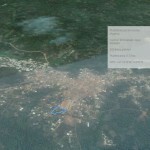 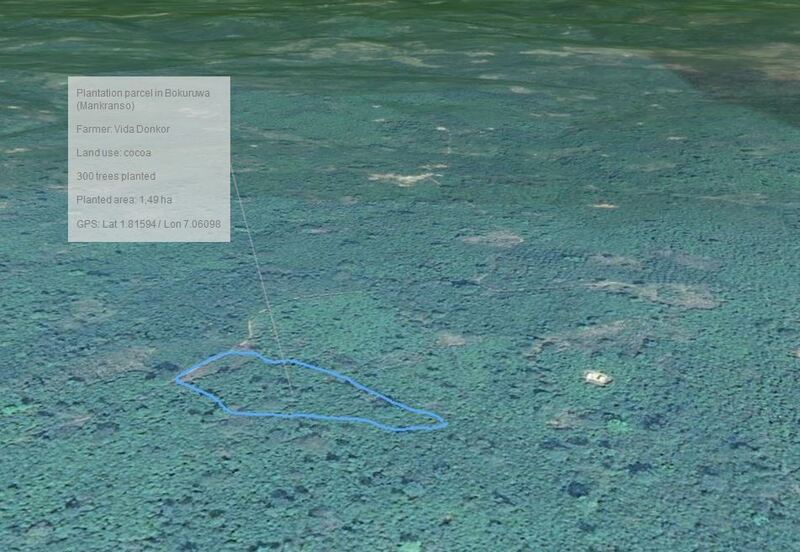 Mixed Stands - Plantation of trees in degraded or unused lands, unfertile for coffee, sloppy areas subject to landslides. 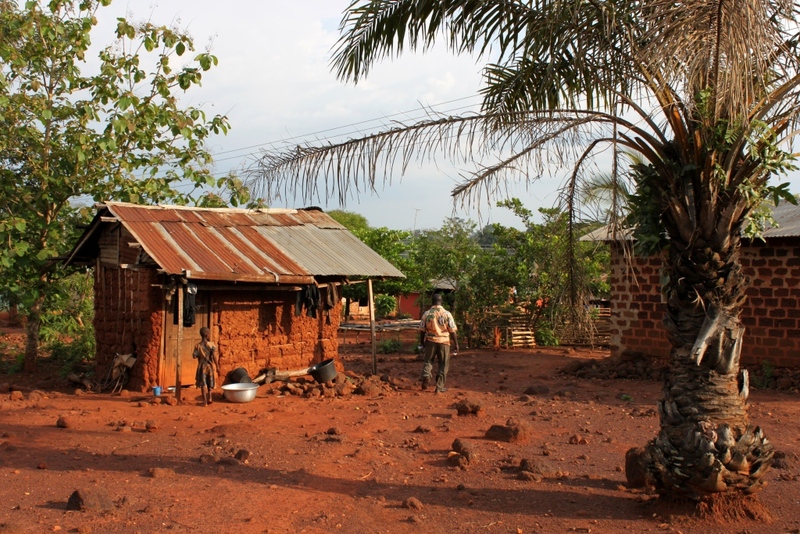 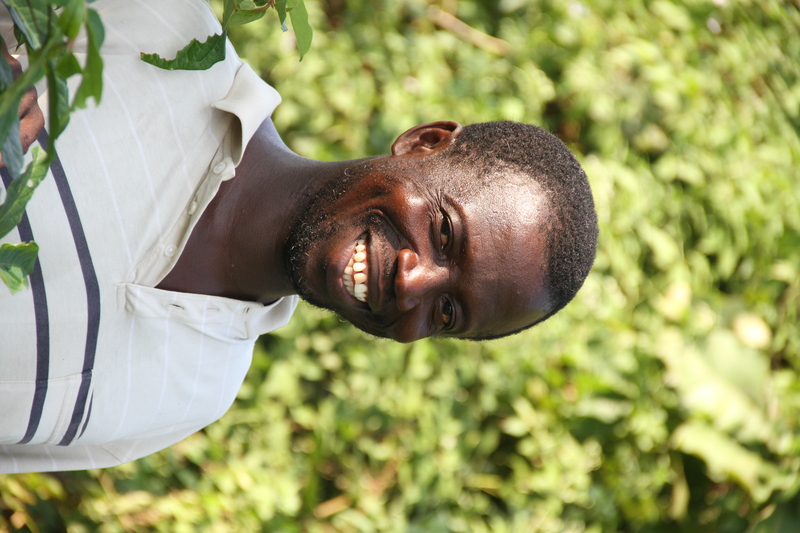 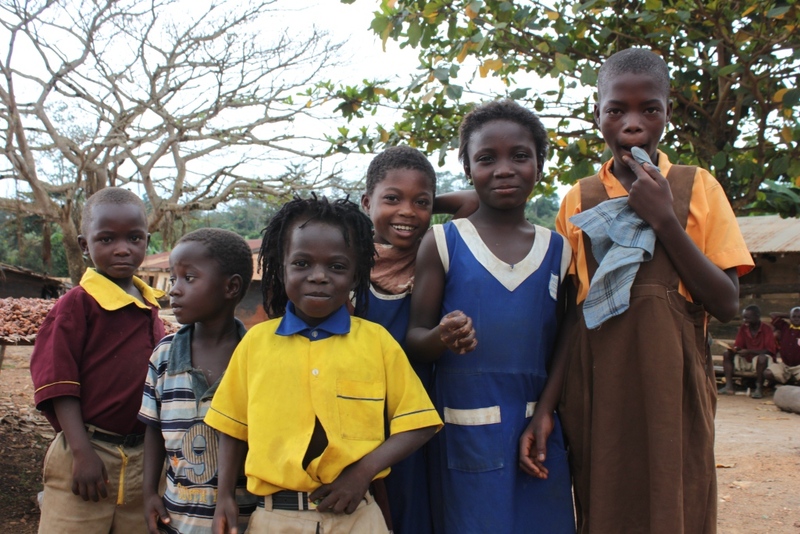 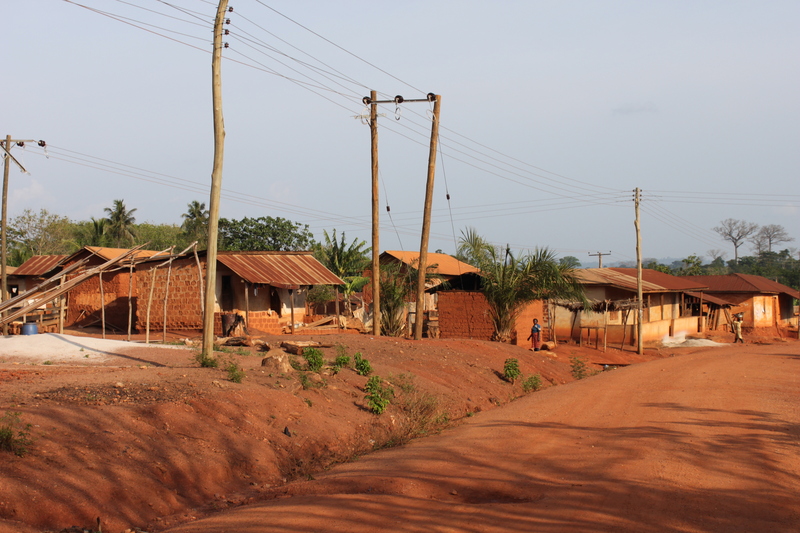 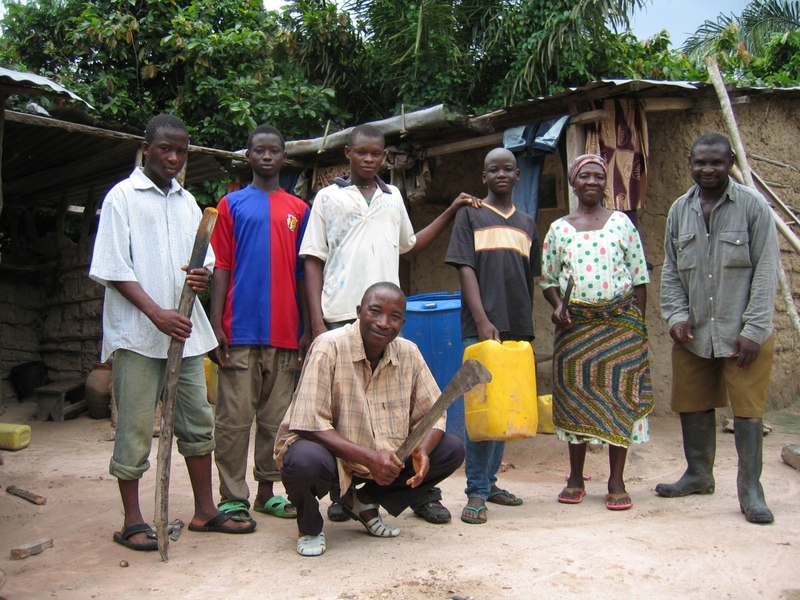 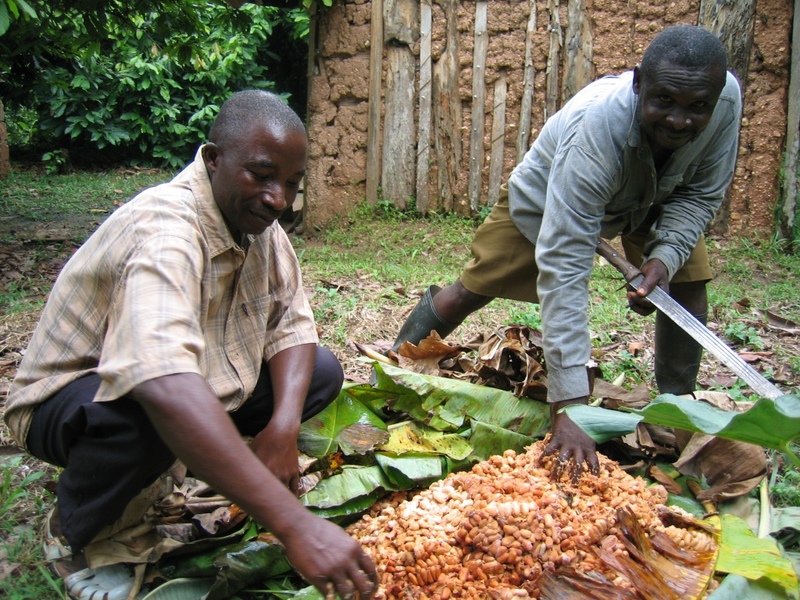 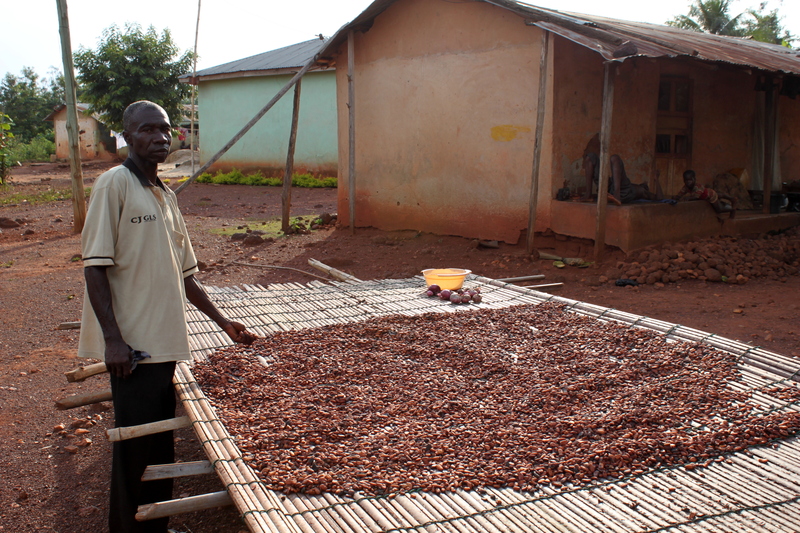 The Kuapa Kokoo cooperative brings 60,000 cocoa smallholder spread throughout the Ghanaian area of cocoa production. 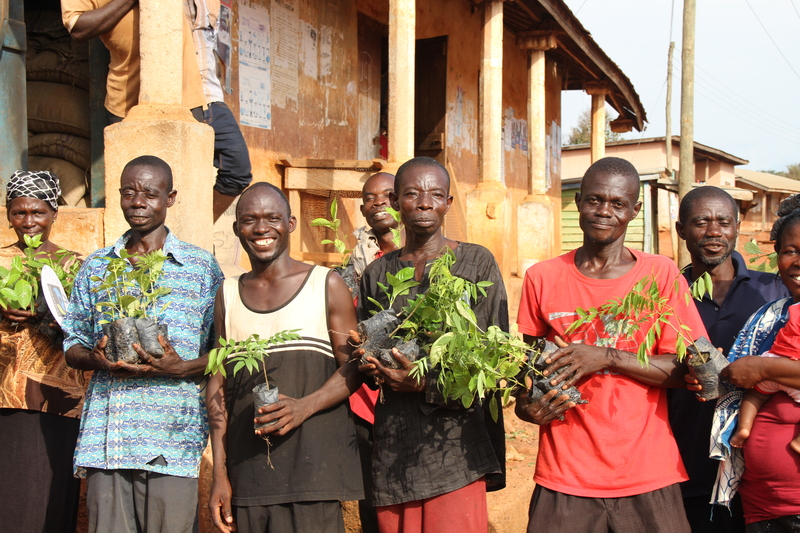 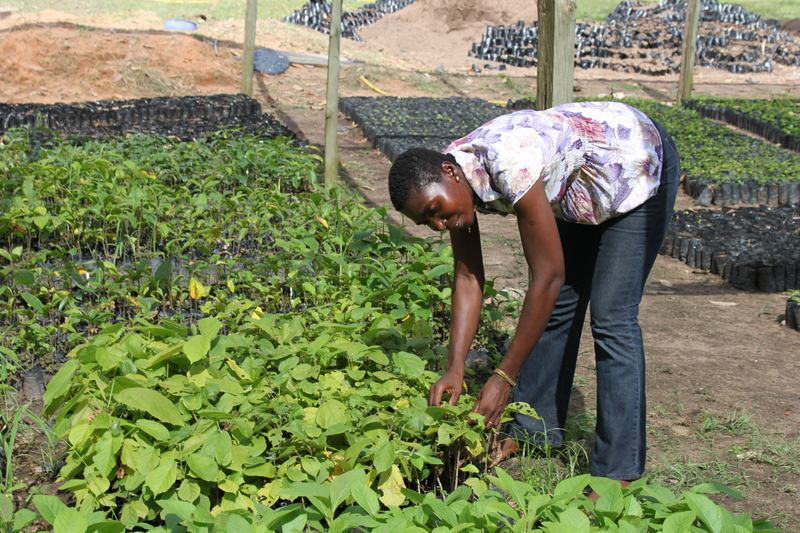 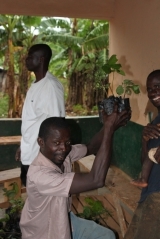 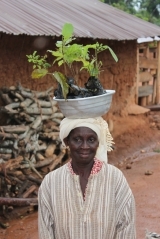 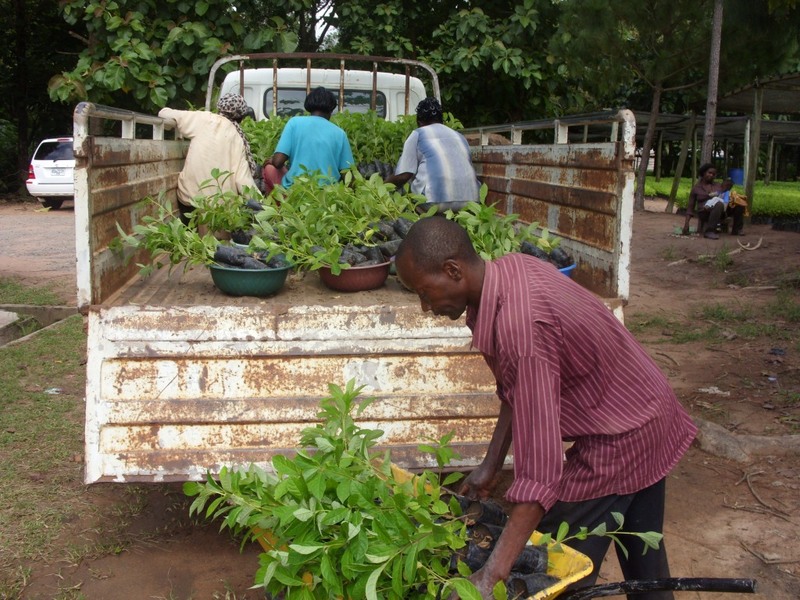 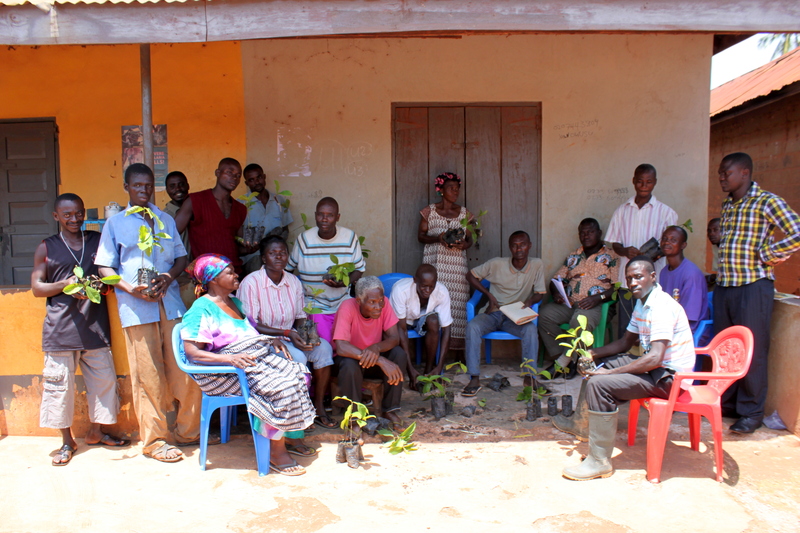 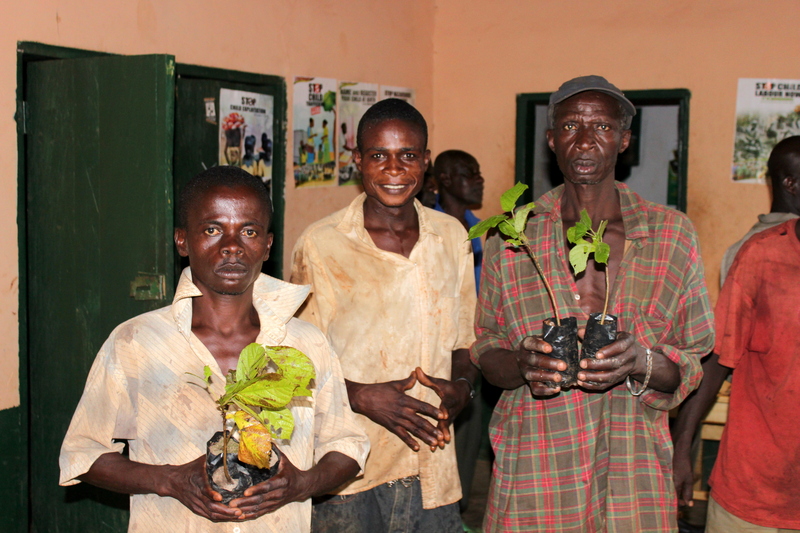 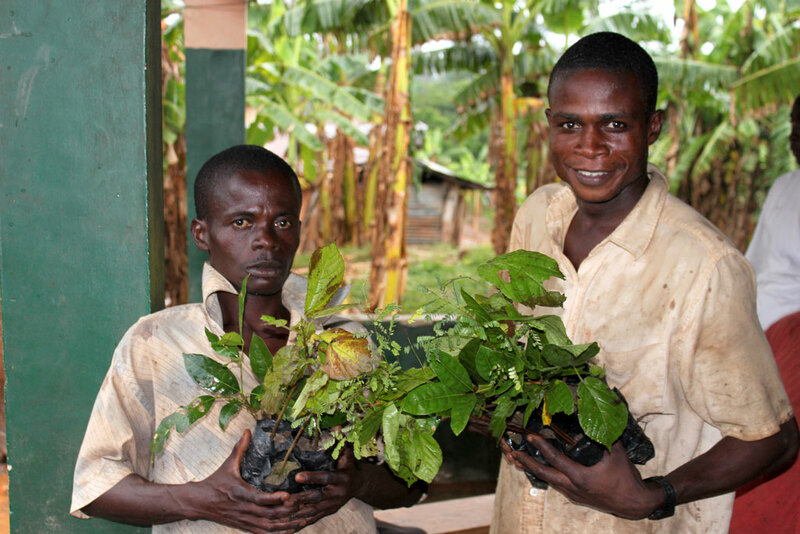 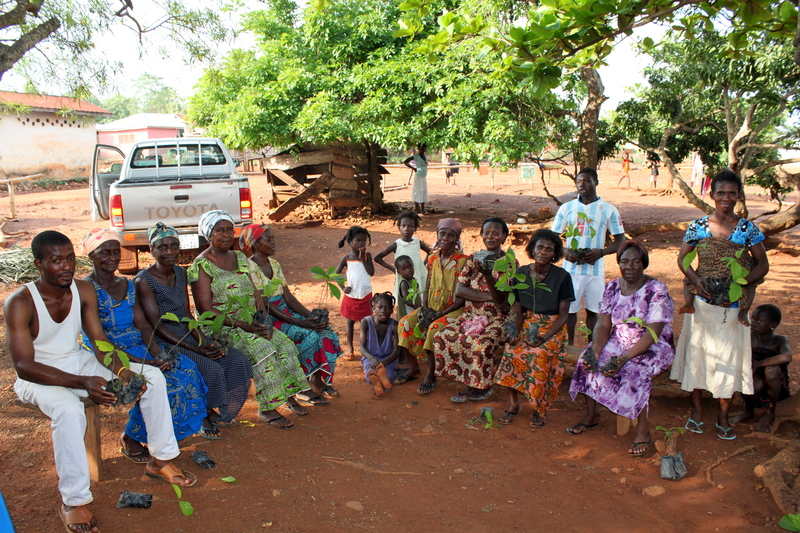 21 villages participated in the plantations in 2011 and 2012. 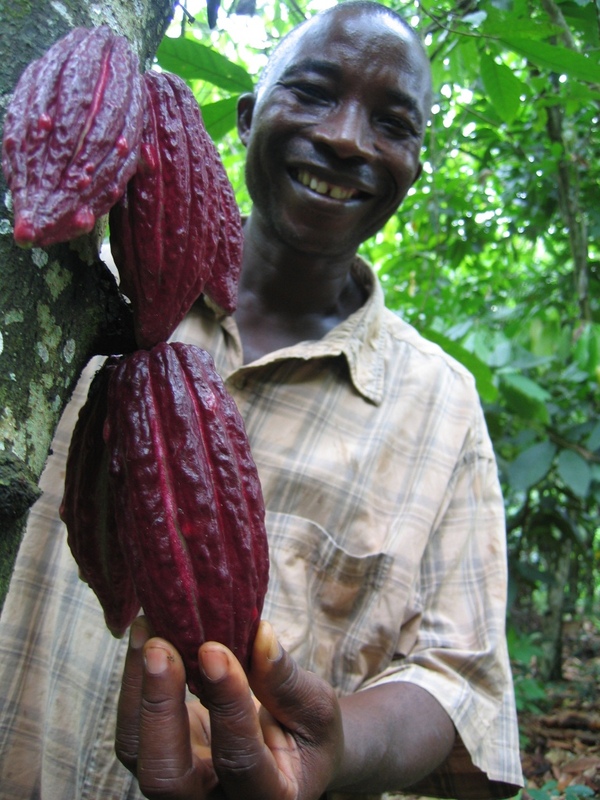 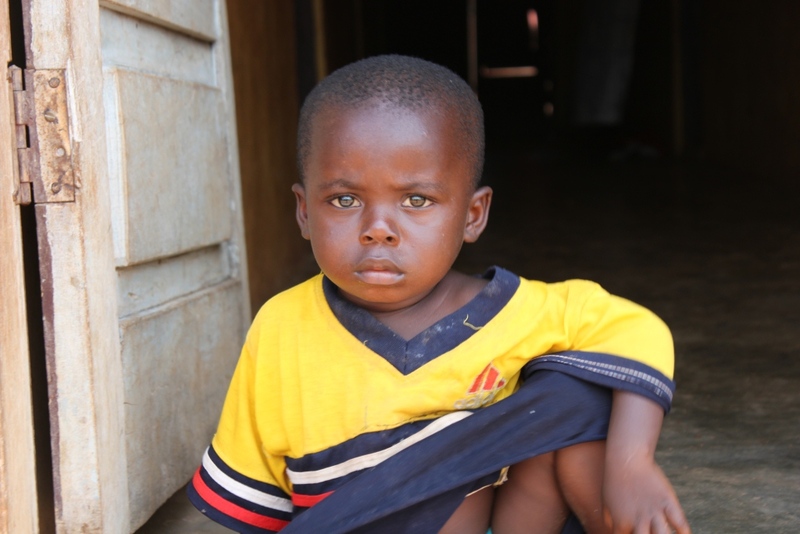 The farmers who are involved in the project live in villages or small hamlets alongside the cocoa plantations. 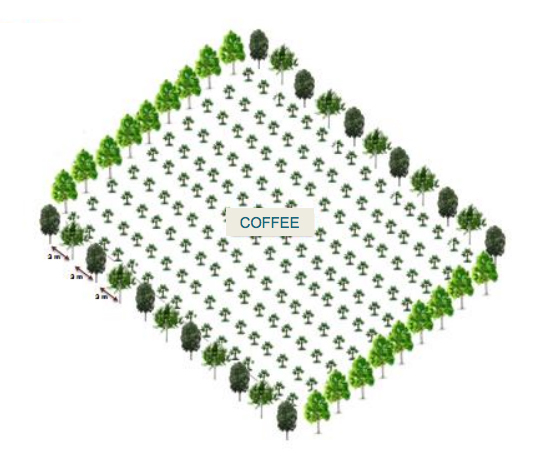 The average farm size is relatively small: 2 ha on average with a majority of less than 1 ha plantations.